Furness Academy is an 11-16 Academy, with a current roll of 875 students. Here, we believe that what matters most is people. We understand that building positive, respectful relationships between everyone in our Academy is really important in making Furness Academy a truly exciting place to work and learn. We believe that it is our students and staff coming together to work and learn that makes our Academy such a special place to be. We provide a friendly, supportive, but structured environment, in which students are given every opportunity to flourish. We have a commitment to professional development for employees with structured fortnightly CPD time and a culture of change and improvement with strong support from our senior leadership team and the trustees. We are proud of our Academy, our staff, and our students, and are ambitious for the future. The curriculum at Furness Academy is broad and balanced with a degree of personalised learning established and continually developing. We believe that learning should be interesting and enjoyable. While we support students to develop their knowledge and skills, we encourage them to ask questions, develop their understanding and build their confidence in their own abilities. We provide our students with a wide range of opportunities for them to develop, both during their time at school and externally as well. Most of all, we aim for our students to leave Furness Academy as well-rounded young people; students who have been nurtured and encouraged but challenged and understood. We want our students to leave Furness Academy as confident learners with the skills, knowledge and, importantly, the qualifications that they need to succeed in the 21st century and contribute to their community. Furness Academy opened its new building in September 2013 offering £22million worth of state- of-the-art facilities. It is a medium sized 11-16 mixed academy, occupying a distinctive site in the heart of the local community. It is located near the centre of the historic shipbuilding town of Barrow-in-Furness and close to the southern boundary of the Lake District National Park a world heritage site. The Furness Academy community has also benefited from a range of partnerships including those with parents and significant local businesses and organisations, notably BAE Systems. Our teaching and support staff are dedicated to ensuring that every child learns and progresses within a safe and caring environment. They are supported by our strong pastoral team who work hard at developing positive relationships between students and staff. We are committed to offering an inclusive, relevant curriculum to ensure the best possible progress for all our students, whatever their needs or abilities. We place great emphasis on ensuring that students with special educational and additional needs are identified, assessed and that the correct support programmes are put in place to ensure that all of their academic, emotional and physical requirements are addressed. The school has a large and active Education Performance Committee chaired by John Shields who is an ex Chemistry and Science Teacher with over 30 years’ experience in education within the Furness area. The Education Performance Committee includes 2 parents, a local councillor, 2 staff, 5 members, business people and residents from Barrow and the surrounding area. It predominately focuses on education performance and includes senior students and member of the Senior Leadership Team as associate trustees. There is a slimmed-down committee structure which includes a finance committee who have oversight over the Academy’s budget. BAE Systems are the sponsors of Furness Academy and has established the Furness Academies Trust with an intent for its future development. The Trust Board has 3 sub-committees covering Finance, Audit and Risk, and Remuneration, Search and Governance. BAE Systems has worked hand-in-hand with the Furness community for many years and they place great emphasis on the importance of local education, demonstrating their commitment to Furness Academy from its inception. 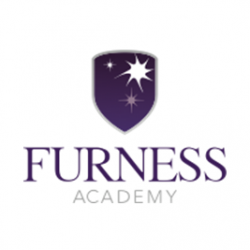 As a sponsor with a wealth of experience within the Furness community they are confident they understand the needs both of employers and the community to bring a synergy to the development and future success of Furness Academy. Furness Academy employs 142 staff across a wide variety of functions. Our September 2017 and 2018 intakes have been the highest Year 7 intakes in the Academy’s history and we are confident this trend will continue. Since moving to the new building in 2013, intake numbers have doubled. This year’s intake took our total student numbers to 875 students. Our optimum student number would be 1050 across all year groups. Throughout the year we hold a number of events where we celebrate the successes of our students and of the Academy. These events present the perfect opportunity for our staff and students to come together in a social environment to celebrate all that has been achieved throughout the year. Furness Academy also has a strong sense of social responsibility, therefore, alongside the above events we hold a number of charity events throughout the year that our staff and students actively participate in. These include sponsored walks, funfairs, craft fairs and coffee mornings. Furness Academy opened its new £22million building in September 2013 and has state of the art facilities. Classrooms with SmartBoard projection capability. Catering facilities with seating for over 600. Fully equipped Hair and Beauty salon. Our sports facilities are exceptional and massively exceed those offered by other local schools. Staff are entitled to use our gym free of charge outside of school hours and we often run discounted professional exercise classes for our staff. A new CPD structure has been developed to support high quality staff development opportunities across the teaching and learning teams in the Academy, which will provide a significant increase in the CPD time available to our staff. Following successful consultation with our parents/carer(s), the school now operates a shortened school day every second Wednesday which allows for a whole school and departmental CPD slot of 3 hours to be available, from 2:10pm to 5:10pm on these Wednesdays. Research evidence suggests that investment in the CPD time for teaching staff to develop their teaching pedagogy ultimately yields improvements in educational attainment in the student population. We have also put in place the BlueSky software tool to record CPD and link this to the School Development Plan and Performance Management Objectives. New and exciting opportunities for students and staff continue to develop, and this year Furness Academy has been successful in securing a further five European Commission Erasmus+ funded projects to undertake best practice studies in teaching and learning with a range of European partner organisations over the next two years to 31 August 2020. These projects add significant value to student learning opportunities in the Academy, CPD development for staff at a European level and opportunities for students and staff to visit partner countries. Furness Academy offers a Teachers Pension Scheme or a Local Government Pension Scheme for all our employees. All schools in the South Lakes area work closely and collaboratively through the Furness Education Consortium (FEC), of which Furness Academy is a member. This is a mutually supportive network of local Headteachers who are determined to work together to engage with each other and to build effective learning communities in the local area. Education in the state-funded sector includes fifteen primary schools, five infant schools, five junior schools and many nurseries. The school shares its catchment boundary with St Bernard’s Catholic High School, Chetwynde Free School and Walney School. In the further education sector there are two colleges. Barrow-in-Furness Sixth Form College concentrates on teaching A-level subjects, while Furness College specialises in vocational courses. Although there is no higher education institution based in Barrow, Furness College teaches several foundation degrees and a small number of Bachelor's and Master's programmes accredited by the University of Cumbria, the University of Lancaster and the University of Central Lancashire. Furness Academy falls within Cumbria’s Local Alliance of System Leaders (LASL) South. This group, which has been developed to promote education networking between all secondary schools, is an invaluable source of support for Furness Academy. Cumbria’s wider system leadership (CASL) is keen to support the Academy as is the Cumbria Association of Secondary Headteachers (CASH). Barrow- in Furness is the largest town in south Cumbria and is situated in the southern tip of the Furness peninsula close to the Lake District. Barrow is surrounded by miles of beaches, each unique in character and conveniently accessible to the town centre. Barrow is the perfect location for any outdoor pursuits with many options available right on our door step. Furness Academy itself is located close to the centre of Barrow and is easily accessible from all areas of the town. Many of our staff choose to live in Barrow-in-Furness or in the towns and villages which surround it, including Dalton-in-Furness and Ulverston. House prices are relatively low compared to other UK towns and Cumbria is a diverse county with both rural and urban areas. It is one of the safest places to live, work and visit with relatively low levels of crime compared to other areas in England and Wales. Barrow-in-Furness is a large industrial town and seaport, which grew from a tiny 19th Century hamlet to become the biggest iron and steel centre in the world, and a major shipbuilding force, in just 40 years. Situated at the tip of the Furness peninsula, it is bordered by Morecambe Bay, the Duddon Estuary and the Irish Sea. In 2011 Barrow's population stood at around 57,000, while 69,000 lived in the wider borough, making it the second largest urban area in Cumbria after Carlisle. Barrow is well connected to both the road and rail network. The A590 connects Barrow with the M6 motorway at junction 36 - a journey of approximately 45 minutes. The town is served by a train station with services to Preston and Manchester Airport. The train journey from Barrow to London Euston involves just one change at either Lancaster or Preston. Homes in the Barrow area are often much more affordable than other parts of the UK. Whether its detached family homes off the tree-lined Abbey Road, or executive apartments close to some of the major employers. There are no commuter delays compared to the major cities, and many people choose to walk or cycle to work.